Our team of environmental compliance experts is pleased to share our annual Pennsylvania Environmental Regulatory Compliance Calendar. This calendar provides deadlines for Pennsylvania Environmental Regulations including information on reporting, permitting renewal and fees. 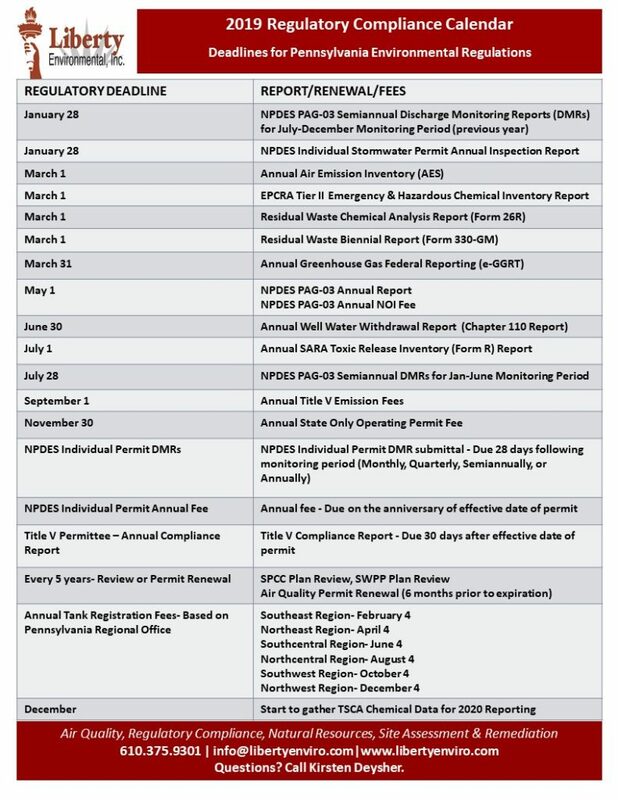 Print or save a PDF of this calendar here: 2019 Environmental Regulatory Compliance Calendar.